Clean, comfortable, efficient and a great value, Red Roof Bloomington is conveniently located on the historic Route 66 at I55 and I-74, exit 160, on Bloomingtons west side. Red Roof Bloomington is close to Illinois State University, Wesleyan University, US Cellular Coliseum and Interstate Centre. We are also near area businesses, such as State Farm Insurance, Country Insurance & Financial Services, Mitsubishi Motors, Cargill and Nestle, as well as attractionsMiller Park Zoo, Childrens Discovery Museum, the David Davis mansion, and Shirk Center. Red Roof Hotel Bloomington wants to make you feel at home when youre on the road. Experience warm, inviting, pet-friendly and family oriented lodging choice at a reasonable price with free wireless high speed internet, free local calls, and the opportunity to take advantage of membership in RediCard rewards, our frequent guest loyalty program. Located on the historic Route 66, this Red Roof Inn is clean, comfortable, efficient and a great value. This Inn is just 2 miles from downtown Bloomington off of I55 and I-74, exit 160, on Bloomingtons west side. Red Roof Bloomington is close to Illinois State University, Wesleyan University, US Cellular Coliseum and Interstate Centre. We are also near area businesses, such as State Farm Insurance, Country Insurance & Financial Services, Mitsubishi Motors, Cargill and Nestle, as well as attractionsMiller Park Zoo, Childrens Discovery Museum, the David Davis mansion, and Shirk Center. 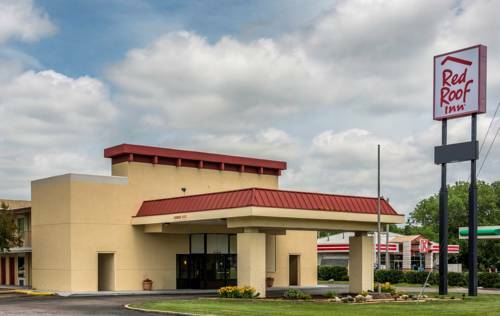 Red Roof Hotel Bloomington wants to make you feel at home when youre on the road. Experience warm, inviting, pet-friendly and family oriented lodging choice at a reasonable price with free wireless high speed internet, free local calls, and the opportunity to take advantage of membership in RediCard rewards, our frequent guest loyalty program.